By visiting and shopping the RiskBlossoming.com website, you are accepting and bound by the following terms and conditions. Please read them carefully and also note that should you use any current or future Risk Blossoming service or business, you will be subject to theses guidelines, terms and agreements (“Terms”). If you see a product here and buy it using the link from this website, we receive compensation and there is no additional cost to you; Risk Blossoming is a participant in the Amazon Services LLC Associates Program, an affiliate advertising program designed to provide a means for sites to earn advertising fees by advertising and linking to Amazon.com. Risk Blossoming is a privately-held company and will not share any information about or regarding its customers or any customer transaction with anyone other than Risk Blossoming employees directly involved in the processing of that inquiry. All content included on this site, such as publisher logos, graphics, text and any other image, is the property of Risk Blossoming or its content suppliers and protected by United States and international copyright laws. The compilation of all content on this site is the exclusive property of Risk Blossoming and protected by U.S. and international copyright laws. All software used on this site is the property of Risk Blossoming or its software suppliers and protected by United States and international copyright laws. All logos, graphics, headers, buttons and any other icons appearing on the RiskBlossoming.com website are trademarks and/or registered trademarks in the U.S. Risk Blossoming trademarks and trade dress may not be used in connection with any product or service that is not Risk Blossoming, in any manner that is likely to cause confusion among customers, or in any manner that disparages or discredits Risk Blossoming All other trademarks not owned byRisk Blossoming that appear on this site are the property of their respective owners, who may or may not be affiliated with, connected to, or sponsored by Risk Blossoming. 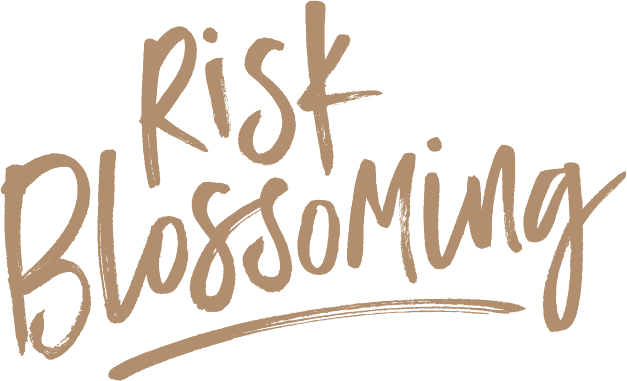 Risk Blossoming grants you access as well as personal use of the RiskBlossoming.com website. You are not permitted, under any condition, to download (other than page caching) or modify the RiskBlossoming.com website, or any portion of it, except with express written consent of Risk Blossoming. Your permission to use the RiskBlossoming.com website does not include any resale or commercial use of this site, portion of this site or its contents. The RiskBlossoming.com website and all the contents, materials, and services provided therein are provided by Risk Blossoming on an as-is basis, and Risk Blossoming makes no representations or warranties of any kind as to the operation of this site or the information, materials or content or services included or otherwise made available to you through this site unless otherwise specified in writing. You agree that your use of the RiskBlossoming.com website is at your sole risk. Furthermore, Risk Blossoming will not be liable for any damages of any kind arising from the use of this site. Risk Blossoming does not warrant that this site, information, content or materials included or made available to you through this site, their servers or email sent from RiskBlossoming.com are free of viruses or any other harmful components. When visiting the RiskBlossoming.com website, you agree that the laws of the state of Arizona, without regard to principles of conflict of laws, will govern these Conditions of Use and any dispute of any sort that might arise between you and Risk Blossoming.